The first leg of our Spring Training sojourn is complete and we didn’t so much go from Maryland to South Carolina as we went from early spring to early summer. Between Columbia and Orangeburg, we passed many blooming trees, a man with the top down in his convertible, and a guy running with no shirt. We saw redbud trees blooming as far north as Lake Norman, NC, which is about a month ahead of when they bloom in Maryland. We also came across a lake named Wateree. Seems redundant, but who are we to question how Carolinians name their bodies of water. We covered 529 miles today and the last 29 were the toughest. We were tired, but not so beat that we couldn’t play catch in front of Mirmow Field that was built in 1948. This ballpark will be included in an upcoming Off the Beaten Basepaths episode. Gas was $3.65 Salem and $3.49 in Orangeburg and we only encountered two drivers whom we addressed as something less respectful, but far more colorful than “sir.” That’s a fantastic average for 529 miles. 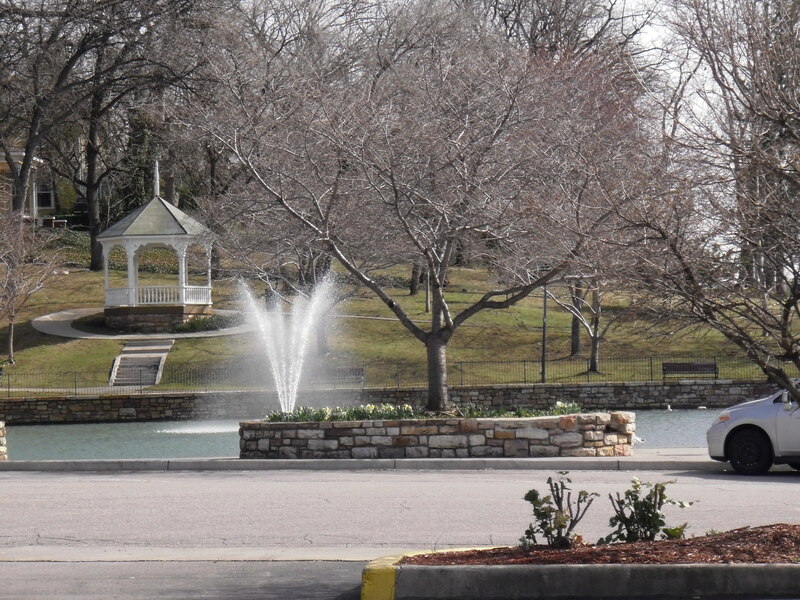 Gas was expensive in Salem, but Lake Spring Park was beautiful as always. 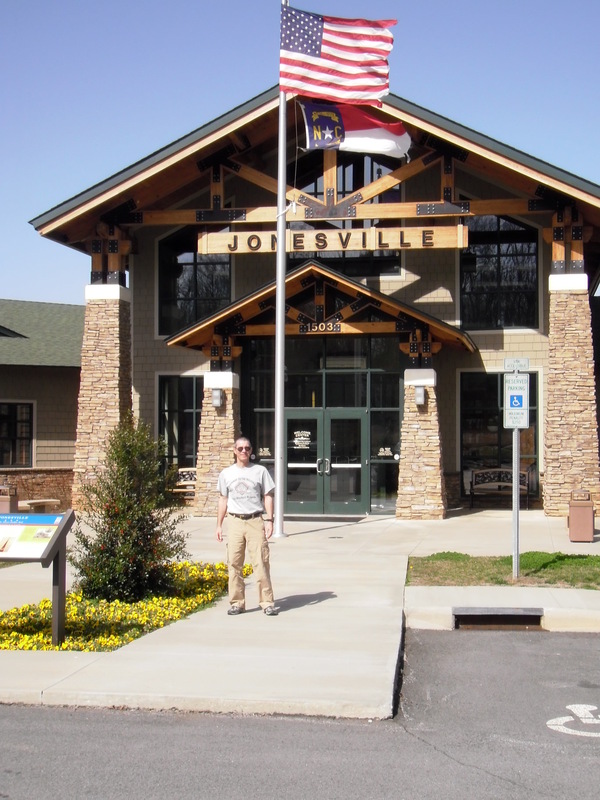 We had lunch at the Jonesville, NC Visitor's Center, which is also the town hall and the police station. This entry was posted in Spring Training Trip 2012 and tagged Lake Norman, Lake Wateree, Maryland, Mirmow Field, Orangeburg SC, redbud trees, South Carolina. Bookmark the permalink. Back in the day we wouldn’t have stopped at all! We’re thinking of you. Your back would love this humid, 85 degree weather.